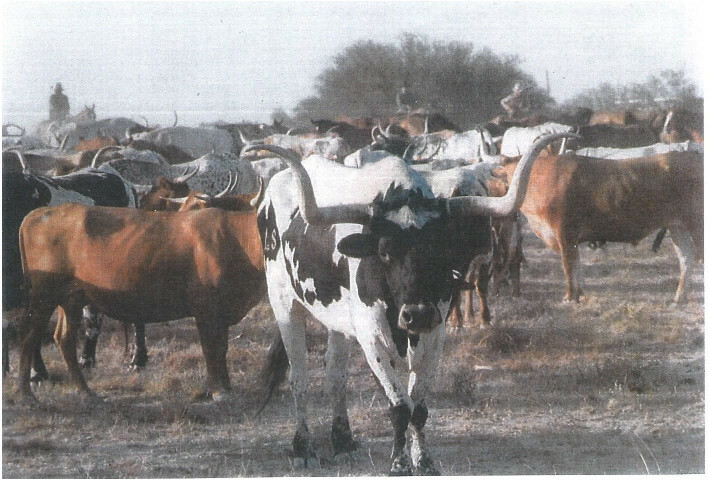 LS Ranches’ “Wichita” and the Centennial herd during filming. View the LS RANCH website for details and information. In 1981, LS Ranches, Inc. hauled 96 of its Texas Longhorn steers to the Fort Worth Stockyards to recreate a Trail Drive. The purpose, in conjunction with the Convention and Visitors Bureau, was to provide photos, video, and films to promote Fort Worth’s rich Western Heritage. Representatives from Fort Worth, Dallas, State Agencies and various media were on hand to view and record the one-time event. 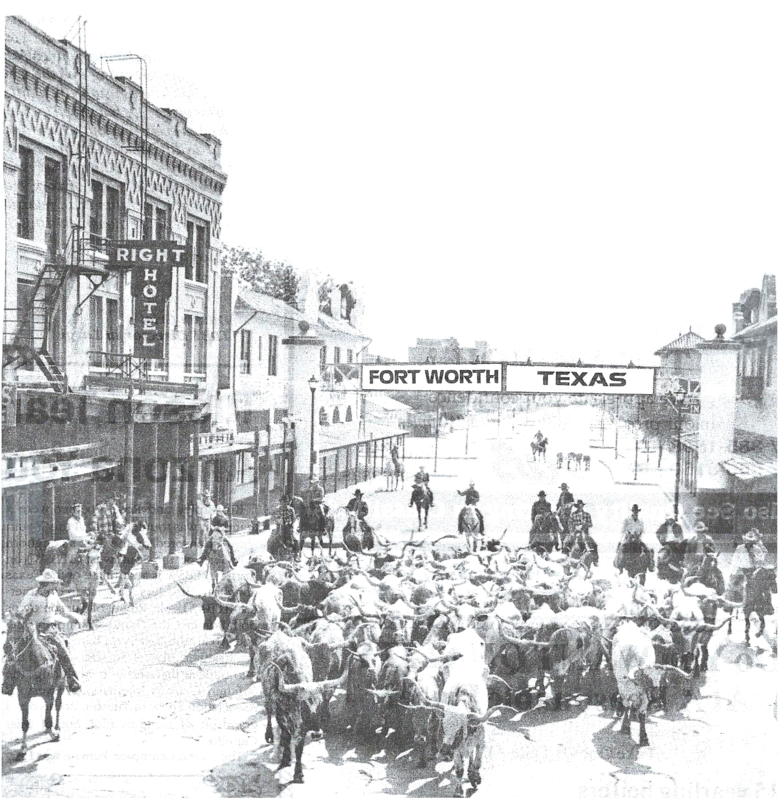 The results have been used to promote Tourism throughout Texas and many credit this event as the forerunner to Fort Worth’s Texas Herd. LS Ranches Texas Longhorns appeared in “Centennial”, the made-for-TV movie that was filmed near Alamo Village at Brackettville, Texas, “Real People’s Train Trip” from Los Angeles to Chicago and numerous other television shows, ads, and news articles. 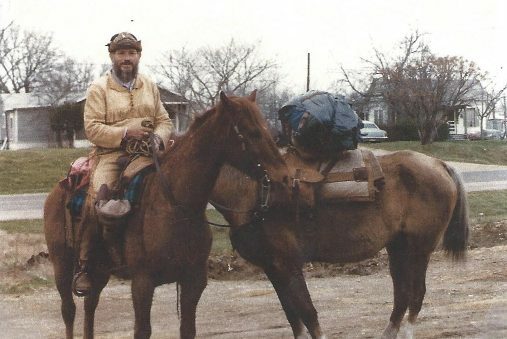 Gene Glasscock became a frequent visitor after he stopped by during his 2 year ride from the Arctic Circle to the Equator. 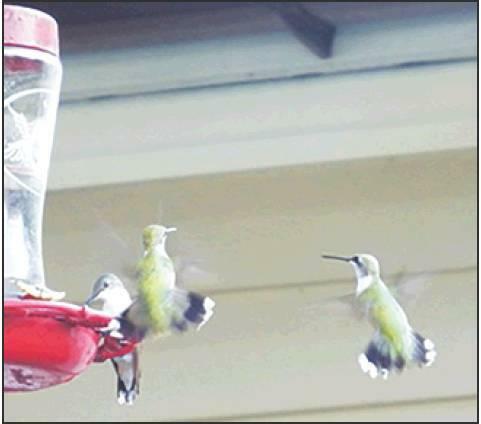 Other visitors include hummingbirds that visit annually from April thru October. These little winged wizards provide entertaining displays of flight, sight and sound as they jockey for positions at the feeders. Welcome to the LS RANCH and our little bit of Texas! We hope you will drop by for a visit while you are enjoying the many treasures and pleasures of Historic Limestone County. There is no charge but, donations are graefully acepted to maintain the herd and keep the property in shape for our next guests. A small pail of “cow candy” (range cubes) is available at a small fee to cover cost for those who would like to feed the Longhorns. The LS Ranch is 3 miles East of Groesbeck on the North side of Hwy 164.